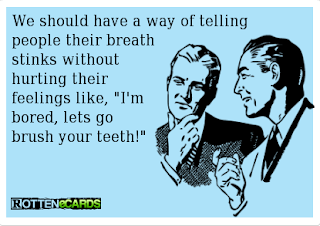 How do you tell someone they have bad breath? That is the message in this great pin shared on Pinterest by Martin & Sheng Dental (via Mackenzie Meyer). How do you think someone would react if you said this to them?